For internal or external building cleans in 'difficult to reach' places. Clean Genie provides a comprehensive service for all your High Level Cleaning requirements. 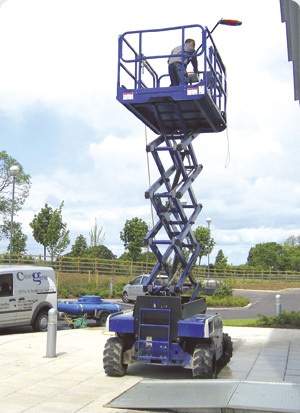 All operatives are fully trained MEWP (Mobile Elevated Work Platform) operators and will deliver the highest industry standards, are supplied with the best high access equipment for the job, and are fully compliant with the latest Health and Safety regulations. All our cleaning services are fully insured across the UK. Our services can be used for internal high level deep cleaning or external cladding/masonry and windows.